Mensusa https://www.mensusa.com/articles/look-gorgeous-in-satin-shirt-and-matching-tie.html Look Gorgeous In Satin Shirt And Matching Tie It is not very easy to look great on all occasions. You must know how to choose the best attire that will bring out your personality. On special occasions like prom nights or weddings, the ideal choice is the satin shirt with matching tie for proms.Select the appropriate shirt and tie combinations to flaunt your sense of style. Various types of fabrics are used to make shirts. The designs, cuts and features keep changing with fashion trends. Satin is a special fabric that is soft and elegant. The shine of the material gives the satin shirt an extra edge over other shirts. You will get various colors and sizes of satin shirt to suit the different occasions. A satin shirt is the perfect choice for evening parties and especially prom nights where you need to look gorgeous and outstanding. Select the right color tie that matches your satin shirt so that you become the center of attraction at the event. Another important fact of satin shirt is that silk and satin fabric is still considered as pure and so these fabrics are worn for all auspicious occasions that call for purity and sanctity. Dressing up appropriately is an art. Everyone is not so proficient in selecting his attire and do not always have the sense of colors. But you need to be in your best attire wearing a perfect shirt and tie combination that goes well with your suit. Often men go for the dark and light combinations like he prefers to wear a light color shirt (e.g. blue) and a black, maroon or a dark blue tie. 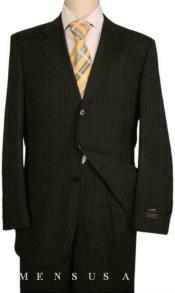 But it is not always necessary to go for sakes it easy for you to select the right set that will match your suits. When you purchase your shirt and tie solid colors. You can wear stripes or designer ties with your dress shirts to look stylish. A perfect shirt and tie combination can work wonders for you especially on important occasions like interviews and professional events. At MensUSA you will get ready to wear shirt and tie combos that from MensUSA you can rest assured that you are buying the best and the latest designs. The sets are created by designers and so they are simply the trendiest that you can buy. Special occasions like prom nights call for something unique and different from the ordinary style. Hence designers create awesome mens prom tuxedos that give them an outstanding look. Visit MensUSA for all your prom tuxedos. You will find an array of men's prom tuxedos arranged according to sizes, shades and seasons. It is important to select the most comfortable one so that you stay easy for hours. Gorgeous shades look great on such special events when you need to draw the attention of all around. Prom night is a very important and memorable occasion for all young men and women that lingers in the minds for years. So everyone is eager to wear the best designer and trendiest mens prom tuxedo to be the winner of the show. Purchasing attires from MensUSA is a great experience as you get a glossary of choices to choose from and the fits are just accurate that help you to stand out from the crowd.